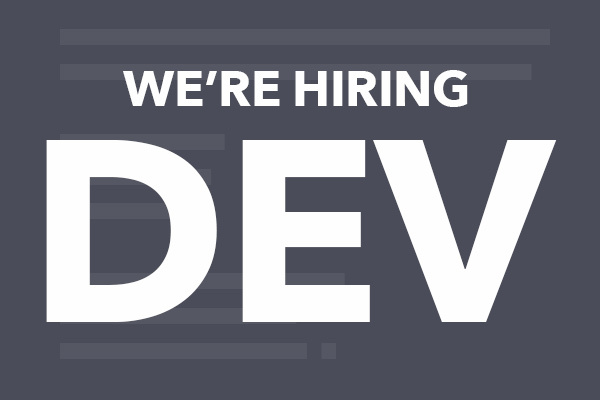 Sparkbox is looking for driven individuals to join our team as full-time web developers. Do you love collaborating? Do you throw yourself into learning? Do you enjoy beating your coworkers in ping pong? If you answered yes to these questions, and you know your way around the terminal, then you might be a great fit for one of our current openings. Sparkbox is a small company with big clients who are looking for the flexibility of world-class responsive web design. We're smart about how we meet client goals, we work hard on innovative solutions, and we love a challenge. The right person also wants to Build Right and enjoys friendly debates about the semantics of HTML elements while fearlessly defending your favorite code editor. If that sounds good to you, then we’d love the chance to get to know more about you. Apply now. Not sure what you’re getting yourself into yet? Learn more about what it’s like working for Sparkbox.